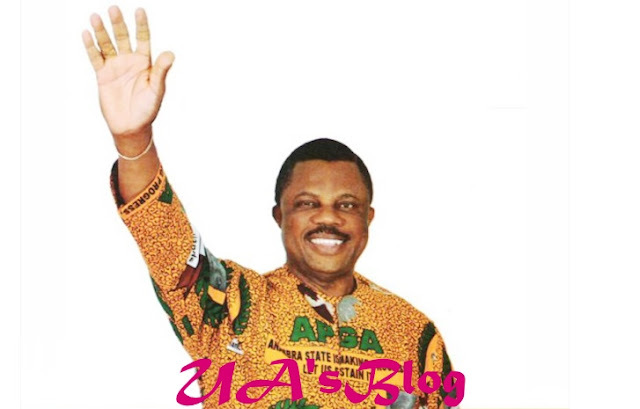 Governor Willie Obiano of Anambra state has revealed that an additional Igbo state was in the offing under President Muhammadu Buhari’s administration. Obiano made the disclosure when Ohaneze ndi Igbo, Lagos Branch paid him a solidarity visit at the Governor’s Lodge, Amawbia, Anambra state. He also expressed hope that the federal government would set aside November 16 as a National Day for Ziks Memorial. The governor described Ohaneze as one united group, calling on members to remain a sociocultural, non-partisan body with the goal of pushing the Igbo agenda. He clarified that he was in good terms with its President General, but regretted the group’s decision to fix a meeting on a day the President was in the state to commission a Mausoleum in honor of the late Dr Nnamdi Azikiwe who remained a world hero of Igbo extraction. While reaffirming his support to the Presidential candidate of the All Progressive Grand Alliance (APGA) and all other party candidates, the governor reiterated his support for restructuring. Earlier, the Ohaneze ndigbo delegation said they were in the state to show solidarity to the Obiano-led government. The Igbo group, led by its President, Sir Nnamdi Nwigwe, praised Obiano’s negotiating power, his Think Home philosophy, among other notable initiatives. He said, “We are particularly happy with your position on appreciating President Muhammadu Buhari-led administration’s good gestures to the people of the South East region and Anambra State in particular.